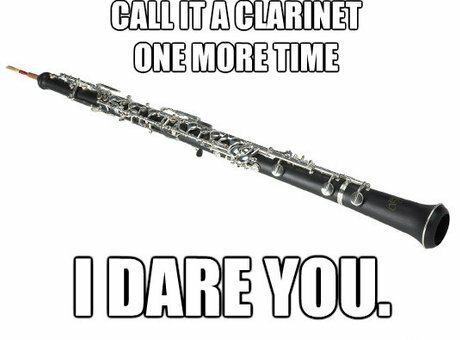 The oboe is officially one of the most difficult instruments to play. Oboists, we feel for you: and not just because of the double-reed misery, the duck noises, the tuning issues and Jeremy Irons being your main ambassador. 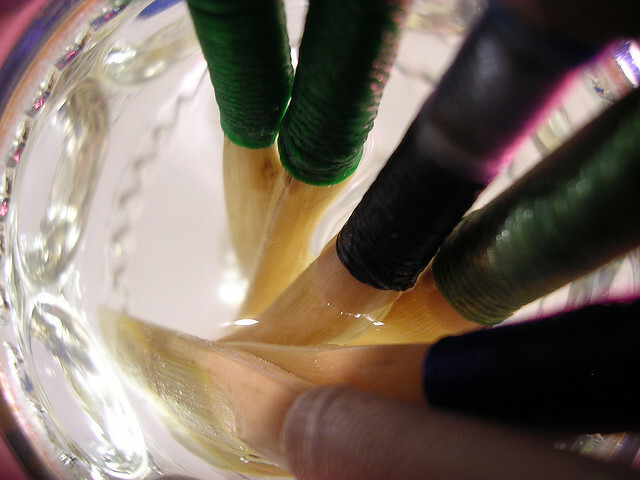 Like other beginner instrumentalists, beginner oboists have to develop a thick skin. And those around them must develop that thick skin, too - covering as much of the eardrum as possible. Flipping from D flat to E flat quickly is the oboist's version of successfully completing a Rubik's Cube using only your knees. Thanks, Jeremy Irons. You couldn't have learned it a little more convincingly? We're with the chief on this one. 6. 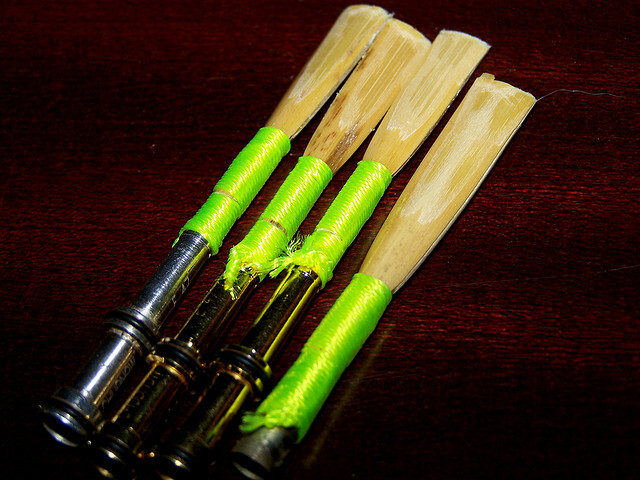 Oh, you've decided to make your own reeds? Hope you've invested in a suitable industrial shed, tool kit, scrapers, sandpaper, international cane suppliers and an electromagnetic nailgun. Except maybe once. And definitely not in a concert or a lesson or anything useful. And yes, you'll be expected to tune an entire orchestra perfectly on the first go. Look at them, being all bigger and deeper and louder, without having to suffer the indignity of having everyone hear their tuning nightmares. 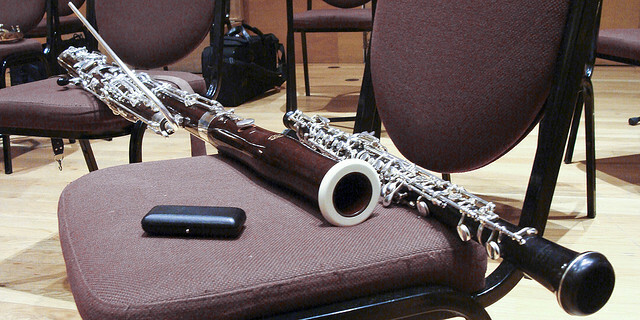 Double-reeds should stick together, like these two - look at them!